As the world's largest trading bloc, the EU plays a central role in the global economy. 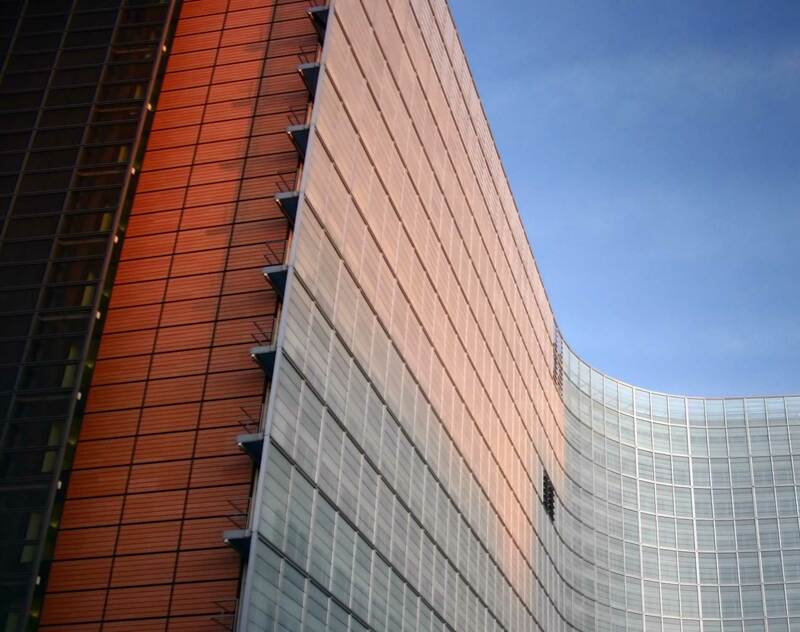 The international setting of Brussels specifically acts as a hot spot for industry and business organizations operating within the EU or dealing directly with its decision-making bodies. The lawyers and professionals in our Brussels office form a diverse group from multiple jurisdictions and with strong academic credentials. We are experienced in all aspects of EU law and policy as well as corporate law, international investments and trade, including World Trade Organization (WTO) matters and Belgian law. We have helped drive business growth for international companies, trade associations and governments with projects involving work with EU institutions and the WTO. We can innovate for your business and help you deal with the complexities of trade, competition, regulatory law (including REACH), Belgian law and government affairs. With a wealth of experience in Europe, Dentons can help you drive growth, meet challenges head-on and anticipate the impact of new regulation. You can benefit from local knowledge, cross-border capabilities and global support and advice. Our team innovates for your business, and helps you deal with the complexities of trade, competition, regulatory law and government affairs, while offering competitive rates and cost-efficient, high-quality legal counseling. Lawyers from Dentons' Brussels office have lectured at various conferences and universities and have been published in European and US law reviews. A leading energy company: Advising in the context of dawn raids in many member states of the EU and providing strategic advice in the EU antitrust investigation under Article 101 and Article 102 of the Treaty on the Functioning of the European Union in connection with the implementation of the EU’s Third Energy Liberalisation Package, the EU’s external energy policy, World Trade Organization policy and public international law. Acron Group (Acron JSC and Dorogobuzh JSC): Legal challenge at the EU’s highest court of two judgments General Court (in cases T-235/08 and T-118/10) confirming the practice of the EU institutions to ignore the cost of gas in Russia and replace it with the export price for Russian gas in the EU for the purpose of dumping calculations for Russian fertiliser producers. CHEMK Group: Representing a world leading ferro-alloys company in several major trade defense proceedings before the European Commission, including reviews and refund proceedings. Dentons represented the same client in several parallel direct actions before the General Court of the European Union against measures and decisions adopted by the EU institutions. One of the legal challenges involves an unprecedented legal claim likely to have an impact on the future practice of the EU institutions in reviews of anti-dumping measures. China Iron and Steel Association (CISA): Advising before the European Commission on dumping, injury and public interest in the EU anti-dumping and anti-subsidy investigations concerning organic coated steel products from China. This was a high-profile case that, for the first time, combined anti-dumping and anti-subsidy investigations against Chinese steel products in the EU. Authorities of a sovereign country: Advising on EU competition law enforcement practice in the commercial airlines sector. This is a unique instruction from this Authority in its first steps of building its administrative capacity and acquiring antitrust enforcement powers. The advice allows the Authority to benefit from the EU experience in the airline sector whilst retaining relevant antitrust powers in the administrative reform process in the country. One of the four largest steel companies in Russia: Advising on Russian antitrust investigation by the Federal Antimonopoly Service (FAS) and litigation on abuse of a dominant position in one steel product market (monopolistic pricing). This is a landmark case, which aimed to create a showcase precedent for the new Russian FAS policy on pricing in the Russian steel sector. Russian energy company: Acting as counsel in a Stockholm Chamber of Commerce Arbitration against an Eastern European State for breach of a shareholders’ agreement and a share purchase agreement. TVEL Nuclear Fuel Company: Advising one of the world leaders in nuclear fuel production and technology (up to 17% of the global market) in connection with construction of a nuclear fuel production plant in Ukraine. The project involved legal advice and assistance on various corporate matters in Ukraine, including establishing a Joint Stock Company “Nuclear Fuel Production Plant” in Ukraine (established by TVEL Nuclear Fuel Company and its Ukrainian partner in this project Ukrainian State Concern “Nuclear Fuel”), preparation of the Framework Agreement between the parties, Loan Agreement, and legal advice on corporate governance matters in Ukraine, as well legal advice on competition law issues stemming from setting up a JV in Ukraine. World leading agricultural machinery group: Representing in a complex safeguards investigation of the Customs Union (CU) of Russia, Belarus and Kazakhstan. World-leading industrial group: Assisting in pursuing an ambitious suspension of the EU import tariffs on a strategic material. The assistance was confirmed in communication with various services of the European Commission (Directorate General [DG] Taxation and Customs, DG Enterprise and Industry, DG Trade and DG Competition), as well as with stakeholders in the entire industry and independent experts. This is one of the most high-profile and complex projects at the intersection of EU trade law, competition, customs, economic policy and government affairs. World-leading solar panel exporter: Representing the client in the EU anti-dumping and anti-subsidy investigations by the European Commission concerning imports of solar panels from China on dumping, subsidy and injury aspects. This was a very high-profile case, which attracted the attention of many major media sources. ZAO Dynamo Minsk: Direct representation of Football Club “Dynamo Minsk” ZAO in an action for annulment of a Council Regulation extending the EU economic sanctions against Belarus to the international professional football club Dynamo-Minsk (Case T-275/12) involving arguments at the intersection of EU law, international law on sanctions and the social importance of sports. Dentons announces the promotion of 36 new partners from the Australia, Canada, Europe, Latin America and Caribbean, Singapore, UK and Middle East and United States regions of the Firm. The new partners represent a range of practices, sectors and industries. Global law firm Dentons has seen a sharp increase in M&A work over the last six months, achieving a marked rise in the H1 2017 M&A League Tables throughout Europe. Following the change of mind that is taking place in many jurisdictions around the world, Belgium is gradually taking steps relating to the production and research into cannabis products for medicinal purposes. As such, two recent parallel evolutions are noteworthy. The Belgian Minister of Finance, Alexander De Croo, announced that the deadline for the obligatory registration of Belgian entities in the Ultimate Beneficial Owner (UBO) register will be postponed until September 30, 2019 (before it was March 31, 2019). This delay is due to uncertainties regarding the scope of the obligation and IT issues for the online registration. Currently, the obligation exists for all companies, partnerships, non-profit organisations, trusts, fiduciaries and foundations. Dentons, the world’s largest law firm, has strengthened its Competition and Antitrust group in Brussels with the recruitment of two partners, Yves Botteman and Jean-Nicolas Maillard. They join along with a team of two associates, Camille Keres and Daniel Barrio. Nextlaw Labs, the innovative tech venture development company launched by global law firm Dentons, and Legal Geek today announced the 20 legal tech startups that have been selected for travel grants to attend the Legal Geek Conference in London on 17 October, 2017. Dentons, the world’s largest law firm, has strengthened its Tax practice with the recruitment of transfer pricing partner, Cristiano Bortolotti. He will work closely with the Luxembourg office which has substantial needs in the area of transfer pricing, while also developing and assisting more broadly the Tax practice in Benelux and Europe as a whole.